The Long History of the Cranbrook Public Library. The Cranbrook Public Library opened its doors to the public on July 4, 1925. The small collection of donated books was housed in a room over the Post Office where rent was only $5 a month. Although open only 9 hours a week, the library boasted a membership of 95 persons. Mrs. A.S. Rumsey, the first librarian hired, was paid a monthly wage of $15. Ten years later she was still earning the same amount! The first request to City Council for funds netted $300 for the library’s operations in 1936. Controversy struck the library when in 1939, an incensed patron destroyed the novel “Of Mice and Men” because he did not feel it was a decent book! He was thoroughly admonished by the Board and told that members were not to act as censors. Magazine subscriptions were first added to the library stock in 1940, much to the pleasure of its members. A new librarian, Mrs. Ralston, was hired in 1948, and the City grant was increased to $500. Salaries were meager during the 1950s, with $27.50 paid to the librarian in charge, and $22.50 paid to the assistant. There were a number of new librarians in this period. Circulations, by May 1952, had risen to 1,526. Library hours increased in 1957 to five afternoons and four evenings a week, and by this time the collection had outgrown the ‘Post Office’ room and new quarters were found in the Provincial Government Building. The new surroundings increased circulation to 2,385 in June 1958! The 1960s brought vast improvements to the library – grants from the city rose to $2,500 in 1960, and circulation was up to 3,639 in October 1961. “Onwards and Upwards” was the theme in 1962 when the city awarded a grant of $3,500 and the Provincial Government awarded one of $1,000 to the library. In 1963-64, the city grant again increased – this time is was $7,000. Jessie Slye became librarian in 1968, and then things really started to happen. A ‘non-resident’ membership fee was instituted, charging adults $5, juveniles $2, and/or families $12. It was at this time that the Government indicated it needed the library quarters, and plans got underway for a new library. The City offered to match dollar for dollar any money raised toward the cost of a new library building. During this period, or more specifically 1969, circulation rose to 89,569, and the membership numbered 4,729. The book stock numbered 18,250 at that time. A Building Committee consisting of Ray Jones, Mrs. J. Hegeman, Mrs. Pettari, John Connolly and Don Isherwood was struck and the challenge was on! It was August 24, 1970 when Mayor Klinkhammer officiated at the sod-turning ceremony and construction began. Much hard work and many months later, Cranbrook had a new library officially opened in Balment Park on June 19, 1971. Total cost of the project was $118,616. Funding for the building came from a variety of sources – $4,000 was raised in fines, $20,000 was raised in the form of donations, $63,000 came from the City of Cranbrook, and $15,000 was borrowed from the City (which has never been repaid). The balance was borrowed, and money to repay this was generated by renting the Children’s Library area. It was first occupied by the School Board, then the Playschool, and later still by Selkirk College. Overdues are not just a recent problem by any means. There has always been talk of taking delinquent members to small debts court. In 1972, they did! The only legal action taken resulted in full recovery. To add style to the new building, the City erected a totem pole carved by Mrs. Ruth Ingles at the north entrance in October 1972. This area (Balment Park) was originally a meeting place for the First Nations peoples of the region. The mortgage on the building was paid off by January 1975, and circulation that year rose to an all time high of 104,114. Old members were re-registered and numbered 3,525, and the book stock was 26,091. The Provincial Government awarded a grant of $6,937 to the library, while the Regional District of East Kootenay contributed $11,263. Tragedy befell the library when Jessie Slye died in a car accident on August 8, 1976. Paul Sheppard was hired in October of that year and stayed until June 1977. Stan Smith was hired the following September. Cranbrook Archives moved into the library in February 1978, bringing its historical literature for public display. In September 1978, Stan Smith resigned and Pat Armstrong was hired to replace him. Extensive renovations have been made to the building in recent years – fire doors installed, a new roof, emergency lighting, and new ballasts for all existing fixtures (in 1979). In 1980, the Board expended a further amount to insulate the roof ($3,100) increase the attic venting ($400), and paint the adult section of the library ($400). Cranbrook Public Library experienced much growth during this period; circulation in March 1980 was a record high of 14,621 and the membership numbered 7,826 by October 1980. Grants also increased proportionally from the first in 1936. In 1980, the City of Cranbrook awarded a grant of $96,700 toward the operation and maintenance of the library, while the Regional District of East Kootenay awarded $30,547, and the Provincial Government contributed $13,843. Open six days per week for a total of 53 hours, Cranbrook Public Library strove to serve the community to the best of its ability. Long range planning cycles during the 90’s identified that additional space for library service was needed and much effort went into a renovation in 1995 to use existing space better and to spruce up the interior of the Library. The Library also transferred from the City’s mainframe computer to its own commercial software to manage library systems during this decade. Computers were provided for public use so that people could access the Internet, use word processing software to create resumes and correspondence, and access their own accounts. Finally, the Friends of the Cranbrook Public Library Society formed to assist and support the Library. 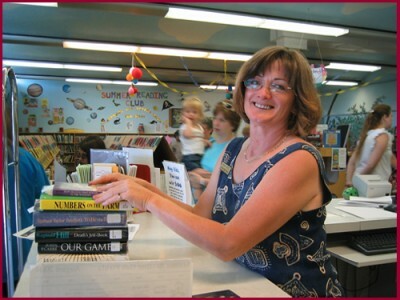 A half-time Children’s Librarian was hired in September 2000. This had been a goal since the mid-1980s. Pat Adams, Chief Librarian since 1978, retired at the end of June 2003. Ursula Brigl was appointed as the new Chief Librarian on 1 January 2004. The Cranbrook Public Library was a founding member of the Kootenay Library Federation, which formed in 2006. It also participated in the provincial Libraries Without Walls strategic plan initiatives, such as BC OneCard, AskAway and Every School Child a Card. Over 224,000 items were circulated in 2005, with an active membership of almost 11,000 people, attesting to the continued popularity of the library. The Cranbrook Public Library officially became a municipal library 1 January 2002. An initiative to build a new library was narrowly defeated in a November 2002 referendum. Another New Library Committee was struck in March 2003 and presented a proposal that the public approved in a new referendum in 2005. The library officially opened its doors in its new home on 26 January 2007. Between 2008 – 2010, a major landscaping renewal project was undertaken replacing old shrubbery with fresh, deer-resistant plants, creating a water garden and installing several works of functional art. During this time, the City renovated the Manual Training School (MTS) to restore its original flooring and adding a kitchenette and two washrooms so that it could serve as a rentable meeting space. The Library manages the day-to-day operations of the MTS. Ebooks exploded in popularity midway through 2009 and through its participation in the provincial Library-to-Go online collections, the Cranbrook Public Library was able to offer ebooks for people to borrow right from the beginning. Since then, additional electronic formats, including cover-to-cover online magazines, have been added to meet the changing demand for material in new formats. The changing technological landscape is leading all libraries to realign their programs and services so that they become the key third place in a community, other than home or work, where people can come to be connected with information and each other. This manifested itself in Cranbrook in September 2012, when City Council approved additional funding so that the Library can be open 7 days per week year-round. The 2013 – 2017 Strategic Plan lays out how the library will develop over the next 5 years so that it continues to play an important role in our community. After 7 years in the new location, the City completed the renovation of the public washrooms in 2014. 2014 was also the year in which the Library Board signed an agreement with the Cranbrook & District Community Foundation to establish a designated Cranbrook Public Library Endowment Fund within the decade. Fundraising is well underway for this, with a plan to raise the required $10,000 by the end of 2015. 4 July 2015 marks the 90th anniversary of the Library’s opening in Cranbrook.